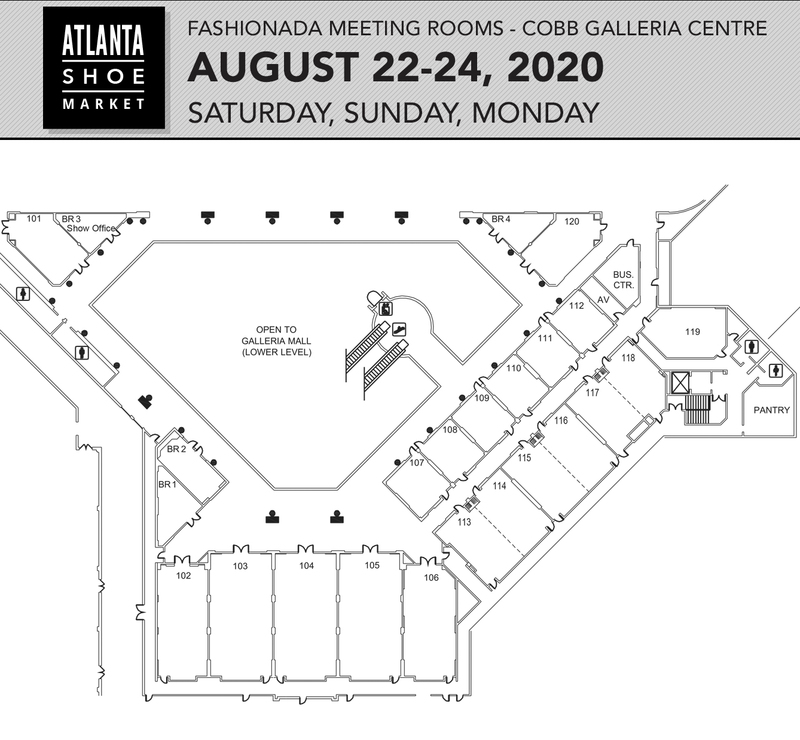 The Atlanta Shoe Market is pleased to offer the following meeting rooms to exhibitors for the February 16-18, 2019 Atlanta Shoe Market. These rooms are located directly across from the main exhibition hall. The above meeting rooms will come equipped with all tables and chairs. Etagere rental, additional lighting, phone service and additional electric will be the responsibility of the exhibitor. Additionally each member exhibiting in the room will be responsible for the $45 Southeastern Shoe Travelers Dues and the $150 Market Fee.